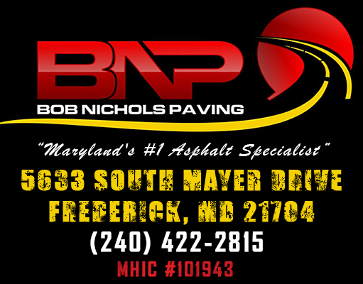 Bob Nichols Paving is a second-generation family owned and operated paving company in Frederick, MD. 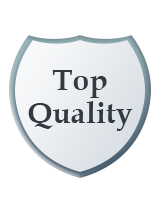 Over the years we have developed a professional reputation to asphalt work, serving Maryland and Central Virginia. Bob Nichols Paving prides itself in exceptional quality and attention to detail. We are skilled at all types of paving projects, ranging from individual driveways, pathways, stem & drives, to parking lots, and roadways. Our scope of work also covers concrete and brickwork. Our teams of skilled laborers use the latest state of the art equipment to complete a job well done. Bob Nichols Paving has been licensed to serve the state Virginia since 1980. His father, a northern Virginia paver who established business from 1970’s until present day, raised the owner, Bobby Nichols, in the asphalt business. In 2005 Bobby, became of age, he wanted to continue his father’s business ventures into the state of Maryland. Bobby understood the importance of what it takes to have a good relationship with customers, to provide them with the proper home improvement services. With a combination of state of the art technology, a lifetime of experience with a paving company, and good old-fashioned pride in work, Bob Nichols Paving is able to provide its customers with only the highest quality of paving work. All home improvement contractors are required to have state and local licenses. To ensure your paving contractor is licensed, call the state of Maryland Home Improvement at 410-230-6309 or visit the website for Maryland Department of Labor, Licensing and Regulation. It is also important to make sure that your contractor is insured to protect you and your property from any accident that might occur. While Bob Nichols Paving is proud to offer our customers the protection they deserve, many contractors choose not to offer it. 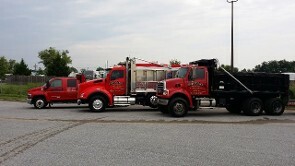 Please feel free to call our office at (301) 663-8188 or email at www.BNpaving.com. for a certificate.